At ALL Week Air Conditioning we provide full-service air conditioning services. This includes working on all AC roof top units manufactured yesterday to today’s Energy Efficient models. As a leading provider of quality-driven AC repair and maintenance in New Jersey, you can depend on All Week Air Conditioning to make sure your roof top AC units are well maintained, repaired on time or replaced when they simply stop running the way they should. No matter what type of roof top AC system you have, our team has an affordable service solution. If your roof top AC unit is not working as efficiently as possible, contact All Week Air Conditioning for all repairs. Our experienced team of installation and service repair experts will take time to inspect your entire AC system, and only after reviewing our findings and offering a solution; with your approval will we make these changes. You can be certain that every job will be completed with a dedication to quality. Our certified and licensed AC repair technicians will get the job done on time – and always at pricing you can afford. When your AC system has completely broken down, or if it’s time for a new unit to be installed in New Jersey, our team has affordable options. We are certified and licensed to complete all AC roof top installation services in NJ. We also work closely with leading manufacturers to sell you the best replacement products at exceptional pricing. No matter what type of roof system you have or would like to install, the team at All Week Air Conditioning can get the job done. 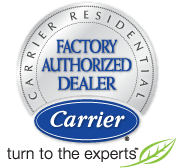 To learn more about all of the AC Roof Top services in NJ we offer, contact our team today.